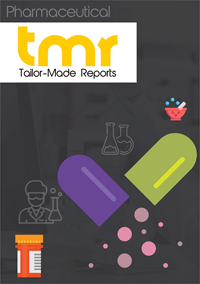 The demand in the global immunomodulators market is expected to increment at a potent CAGR during the forecast period of 2017 to 2025, which can be attributed to a number of key factors, such as increasing adoption of monoclonal antibodies, presence of strong pipeline portfolio, strong adoption of TNF-alpha inhibitors and B-cell inhibitors, advancements in the diagnostic tools, and the development of novel therapies using innovative technologies. On the other hand, the immunomodulators market is facing challenges from high number patent expiration, growing competition from generic and biosimilars, adverse effects of drugs, and discontinuation of drugs under development, which is expected to lead to substantial loss of revenue. Nevertheless, the vendors operating in the global immunomodulators market are expected to gain new opportunities from the emergence of oral agents and focusing on regenerative medicines. Product-wise, the global immunomodulators market can be segmented into immunosuppressants including calcineurin inhibitors, antibodies, antimetabolites, glucocorticoids, and others, and Immunostimulants such as vaccines and antibodies. Application-wise, the market for immunomodulators can be classified into oncology, HIV, respiratory, and others. This report on the global immunomodulators market has been developed by professional market research analyst and aspires to represent the current scenario as well as the future prospects of the market, figuratively and analytically. The report takes stock of the potential of immunomodulators market in every important geographical region as well as profiles a number of leading companies in order to represent the existing competitive landscape. Immunomodulators are referred to as the medications that are used for the regulation or for normalizing the immune system. They are the active agents used in immunotherapy. Immunotherapy refers to treating a disease by suppressing, enhancing, or inducing an immune response. Immunomodulatory regimens at times have few side effects that the existing drugs that have less potential for a resistance cover while treating a microbial disease. Immunomodulators are assorted arrays of natural, synthetic, and recombinant preparations. Applications of immunomodulators include rheumatoid arthritis, Crohn’s disease, and multiple sclerosis, among others. Substantial untapped opportunities along with development of new drugs to meet the unmet the needs and anticipated product launches are likely to create pave way for future growth prospects. The report is an investigation in the growth of the global immunomodulatory market over the last couple of years and in the coming years. The market research publication further reasons out the causes of the changes in the market across the globe. It does this so by presenting an evaluation of the dynamics and the trends prevalent from the last few years and the ones that are likely to retain an impact during the forecast period. The Porter’s five forces analysis is being taken into consideration for the analysts to provide a clear view of the vendor landscape to the readers. Mergers, agreements, acquisitions, and other partnerships have also been highlighted in the report. The study further delves into the working of the various leading companies along with the information on the products, strategies, and shares of the companies in question. The global market for immunomodualtors is expected to grow exponentially over the forecast period owing to the rising cases of chronic diseases such as multiple sclerosis, allergic conditions, cancer, and asthma. Additionally, the growing employment of early immunomodulatory therapy for treating Crohn’s disease is further expected to bode well for the growth of the market in the coming years. High remission rate and less organ rejection incidents render immunomodulator therapy as a promising alternative. The generation of advanced biological response modifiers is growing significantly owing to the rising incidences of multiple sclerosis across the globe, thus benefitting the immunomodulators market in return. With immunomodualtors posing the risk of less side effects as compared to existing drugs, its market is expected to expand extensively over the coming years. The global market for immunomodulators is also expected to expand over the years owing to the presence of unfulfilled clinical needs and need the alternative treatments for rheumatoid arthritis. The global market for immunomodulators can be segmented on the basis region into Asia Pacific, Europe, North America, and the Rest of the World. North America is a potential region vendors can look forward to and capitalize on the opportunities arising from the region. The presence of numerous people suffering from various chronic ailments is the primary factor propelling the demand for immunomodulators in the region. High awareness level among patients and favorable government initiatives are further expected to bode well for the market’s growth in North America. Some of the key companies in the market are F. Hoffmann-La Roche Ltd., Amgen, Inc., Abbott, Johnson & Johnson, Novartis AG, Eli Lilly and Company, Bristol-Myers Squibb Company, Merck & Co., Inc., and Biogen.